The design wasn’t much of a surprise, though, because a modified Telluride already made a surprise appearance at New York Fashion Week before showing up at SEMA. The crossovers we saw previously were all modified with off-road accessories—parts that had little to do with the production version, we thought. But as crazy as it might sound, Kia is considering offering something like those early off-road-oriented Telluride prototypes. 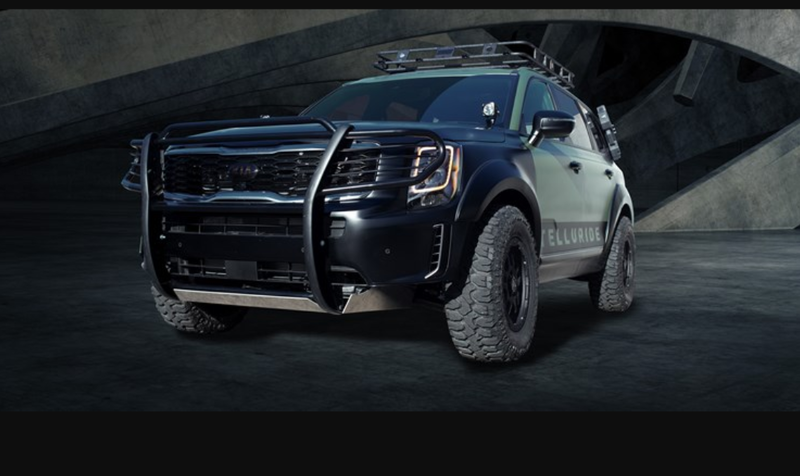 While speaking with Tom Kearns, the Telluride’s designer, at the Detroit auto show, we asked whether there were any plans to offer some of the SEMA concepts’ accessories to customers. So there’s not just a chance that Kia dealers will offer off-road accessories for your Telluride. There may be an actual off-road trim level. Odds are it would be more along the lines of the Toyota RAV4 Adventure than what we saw at SEMA, but it could still be cool. 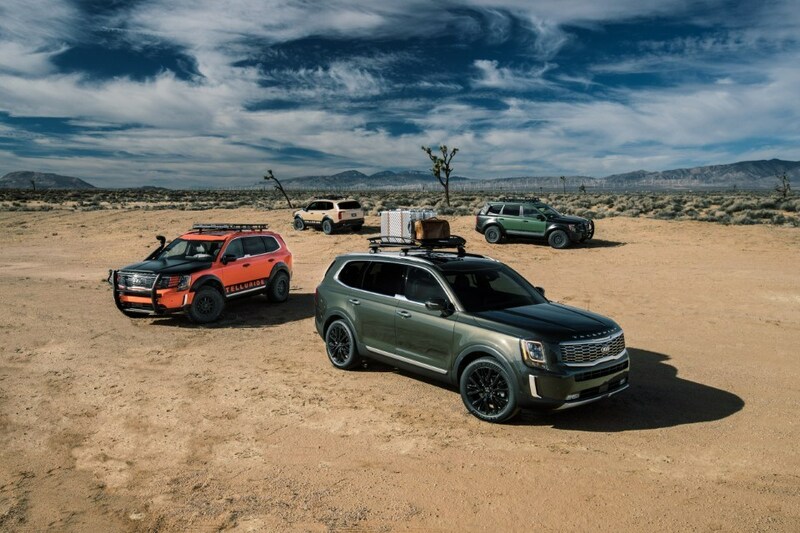 But if you were hoping Kia would find a way to fit the Stinger GT’s 3.3-liter twin-turbo V-6 into the Telluride, you’re probably out of luck. In addition to it likely being difficult to adapt the longitudinal engine for transverse duty, Michael Cole, Kia America’s chief operating officer, told us the Telluride’s 3.8-liter V-6 is the only engine the brand is planning to offer.